Sorry blog, I’ve been travelling. Saw this statue of Binzuru at Todai-ji Temple in Nara. An alleged master of occult powers plus you can be healed if you rub the part of him that corresponds to your affliction. 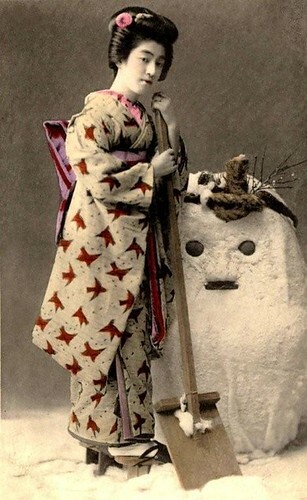 GEISHA LEANING ON SNOW SHOVEL, originally uploaded by Okinawa Soba. Found via Badminton. Does anybody know? I’m dying to see it!